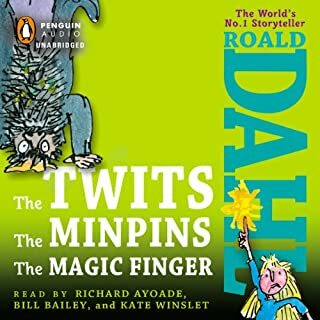 Master storyteller Roald Dahl adds his own darkly comic twists to six favorite tales, complete with rambunctious rhymes and hilarious surprise endings. Roald Dahl's inimitable style and humor shine in this collection of poems about mischievous and mysterious animals. Roald Dahl had an abiding love for and interest in nature. He kept notes about the habits of moles and foxes, the colour and song of birds and the different flowers, plants and berries that blossomed in the countryside around his home, Gipsy House, throughout the year. In the last year of his life he worked on a diary. But what was originally intended to be a few lines turned into a memorable account of the passing year. 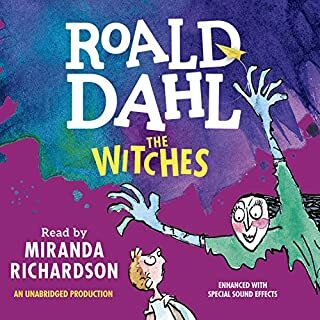 Two new BBC Radio 4 full-cast dramatisations of Roald Dahl's gripping autobiographical stories. 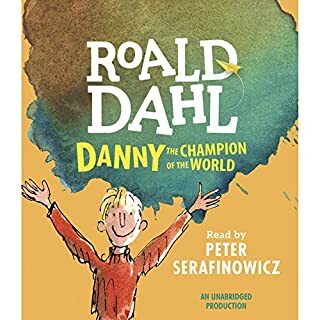 These two compelling adaptations, based on Roald Dahl's real-life tales of his of his boyhood and youthful overseas adventures, celebrate his remarkable life and commemorate his genius. A Newbery Honor Book and a Book Sense 76 Selection, Enchantress from the Stars is a science-fiction classic. Three alien races meet on the small green world of Andrecia. The Imperial Exploration Corps wants to claim the planet for its own, but the Anthropological Service stands in the way. And when young Elana makes contact with native Georyn, a love story exploring the very depths of human emotion unfolds. Going Solo is the action-packed tale of Roald Dahl's exploits as a World War II pilot. Learn all about his encounters with the enemy, his worldwide travels, the life-threatening injuries he sustained in a plane accident, and the rest of his sometimes bizarre, often unnerving, and always colorful adventures. 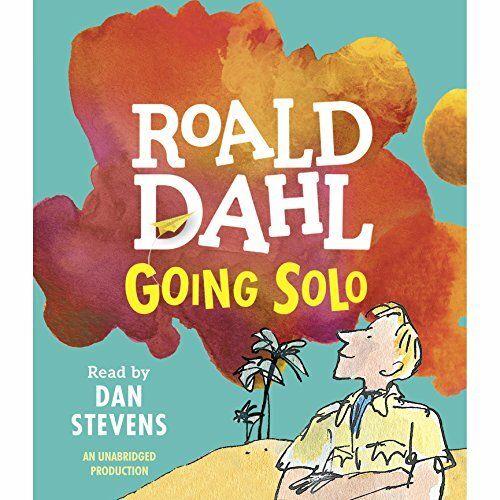 Told with the same irresistible appeal that has made Roald Dahl one of the world's best-loved writers, Going Solo brings you directly into the action and into the mind of this fascinating man. Thought this book was excellent. Brings you back to a time when the world was wild and it was an adventure just to live in it. This story captivated me the same way as his books did when I was a kid. I'm happy I waited until I was older to read this. I will absolutely listen again. Our whole families favorite author; an amazing writer and life. 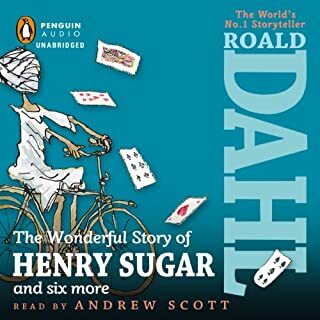 I purchased this story for my 10 year old son, and of course he along with my older two boys have all enjoyed Roald Dahl books over the years. I decided to put this on for my husband and I because we have been trapped in our kitchen every weekend working on a remodel. This story was a perfect distraction while tediously sanding and painting away each day. This story made us look forward to going to work in the kitchen just to hear what was going to happen next. The story is exciting, amazing, sad, happy and thrilling. The reader is exceptional we enjoyed every moment and didn't want it to end. 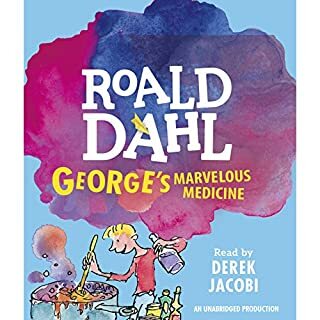 Anyone who loves Roald Dahl's books will, I think, be fascinated by the way he tells some of the story's of his early adulthood. He lived a very interesting life but, in the way of the best story tellers, he also observed and was interested the life of the people around him and he was consequently able to make you feel as though you were there, meeting these people with him. The narrator is fabulous, one of the best I've ever heard. 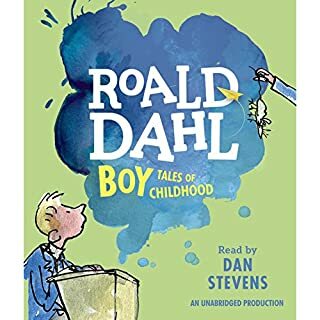 He sounds exactly as I would have imagined Dahl himself would sound, with a cadence and tone perfect for Dahl's witty and insightful thoughts on life. Following on from the hilarious Boy, Going solo continues where Boy left off. Full of adventure and experiences very few people can claim today, Roald Dahl gives you a glimpse into his young adult hood from being in Africa to becoming an RAF pilot in the Second World War. He shows both bravery and naivety but most of all humbleness. He must have had 9 lives as you will see from encounters with black mambas, lions and gun wielding escaping Germans. Truly a magnificent story. Such a delightfully told tale. It amuses from the very beginning of his journey to Africa to the end of his flying with the RAF. A very enjoyable read. Would you consider the audio edition of Going Solo to be better than the print version? What other book might you compare Going Solo to and why? Which character – as performed by Dan Stevens – was your favorite? thank you both for such a delightful little book. I would recommend this book for people 12 and up. There are no moments that are not interesting.